It's Friday, so let's get to it. You're expecting five things, and you're going to get them. Instead of recapping my week, though, I wanted to set some goals for the next month. I read lots of blogs yesterday with goal lists so I thought that I would join the fun, too. 2) Say yes to invitations where my first inclination is to say no. Quick, someone invite me to something out of my comfort zone! One of my friends mentioned a girls' night the other night and I immediately started thinking of excuses and she hadn't even given me a date. That is terrible. I need to stop that way of thinking. 3) Get this house on the market. There is lots of Magic Erasing, baseboard painting, and staging that needs to happen before it's ready. 4) Use my time better. I am drawn to my couch the second I walk in the house but if I stay away and go to the gym, join Andrew in the kitchen to cook dinner, go play with the dog, anything but sit down as soon as humanly possible I actually do something and feel much less stressed when I go to bed at night. This needs to continue, at least until the new fall shows are on TV. 5) Learn how to do something new to me, whether it's a hairstyle, blog trick, or recipe. I went to this thing at work and the speaker said that the cool little moving picture thingys are called "jiffs" with a hard J, not "gifs" like a soft G. He heard from a guy who heard it from the guy who invented them or something so it must be true. Just thought I would share in case you ever wanted to talk about them in real life. I have been saying it wrong in my head and I don't know that I'm ever gonna stop. I had to send an email to my coworkers about a birthday and the only ideas that came to be were jokes that were tailored to bloggers, like "On Tuesdays, we eat cupcakes" or a list about why we needed to assemble in the conference room at 3pm on Tuesday but I quickly realized my attempts at humor would be lost on them so I kept it simple. But I did include a gif. There is a drive-thru adult beverage place near my house and I really think I need to try it this weekend. I mean, there are many perfectly good bars and restaurants from which to procure my buzz but getting a drink without leaving the car? Priceless. Today I'm home all day, sitting in a small cramped bedroom with my crying kitty while we get new floors. It could be worse, though. 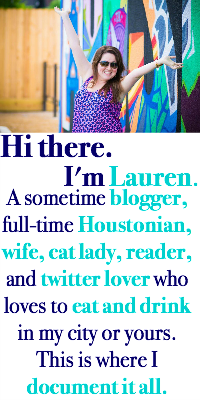 I'll be blog commenting and tweeting away so send me something good to read! Do you have any August goals? What are some fun tidbits from your week? Have a great weekend! I recently started trying to use my time more wisely. I feel the temptation to get sucked into the couch, but so far I've been resisting. It's been really nice! Hope you have a really nice weekend! I can honestly say I'm one of those who will try to come up with an excuse when someone invites me to something. Maybe it's something about changing up my schedule or my comfort zone, but I need to stop doing that too! Happy Friday, and thanks for linking up! Hope y'all have a great weekend and you get out of that bedroom asap! ok, saw that mr. clean commercial the other day. creepy as furk. Accomplishing something at home every night is a much less stressful way to live! 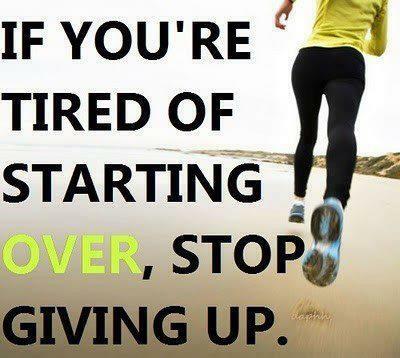 I need to keep on my zumba schedule and add another two days of doing something in August. I LOVE the info about the gifs. not sure I've ever actually said it out loud but I'm going to be turning it over in my head all day now. I like your August goals - I really need to get better about saying yes to things. Girl, you got this!!! 25 miles is easy! In PA, where I grew up, we had drive through beer distributors. You could only get beer there (PA has weird rules), but it was fantastic. Especially since we used to drive through when we were underage and they still sold to us. So bizarre, just this week my guy has been harping on me too that the are Jiffs not GIFs. Great goals!! We can keep each other motivated! 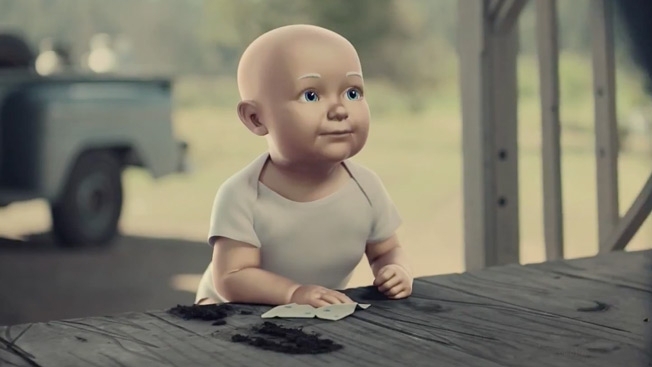 I don't want to see that Mr. Clean baby. No no no!